There are so many layers to the story of this region. Visitors to Alpine Meadows Resort can see our scenic history from every viewpoint. Wells Gray Park lies in the heart of British Columbia’s ancient forests, a vast area encompassing a wide variety of microclimates, waterways, and land formations. Human activity in this area has deep roots: it is the traditional territory of the Secwepemc, Tsilhqot'in, and Canim Lake First Nations. Before the arrival of Europeans here, these aborignal peoples hunted, fished, traded, and fought throughout the region. 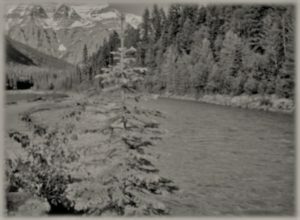 In 1862, the first known Europeans arrived in the North Thompson region on a wave of the Gold Rush. These “Overlanders” drew attention to the beauty and bounty of the area, and sparked many years of exploration into this part of BC. Trappers and traders found abundant resources, here, working with the local aboriginal bands and eastern mercantile companies. Railroad barons sent survey parties here throughout the 1870s, in search of an easy route to the coast (they didn’t find one!). The BC government sent surveyors and cartographers to draw up maps of the territory. By 1911, homesteaders had discovered the region, and a handful of industrious families moved in, and established new lives on what was then considered wild frontier. This region is so large that the few homesteading families that made their ways here ended up living hundreds of miles from their nearest neighbours, in almost complete isolation. Two of the earliest families, the Rays and the Majerus’ built self-sustaining farms and substantial log homes, the remains of which can be seen today. Snapshots of life in Wells Gray, which strives to preserve the natural history of BC, these homesteads are now given over to nature, and are slowly being reabsorbed by the area’s thriving vegetation. In 1926, a wildfire raged through the region, burning for almost a month. Most of the farms and buildings were burnt or destroyed, although all of the residents survived. 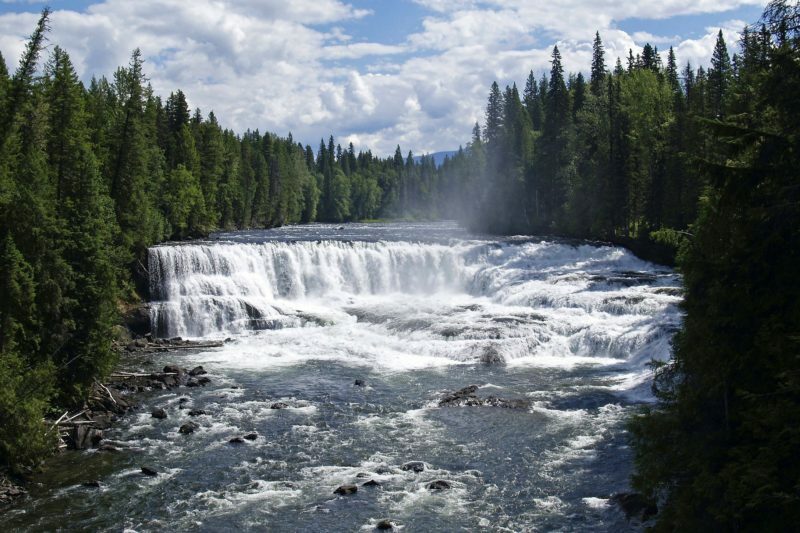 Wells Gray’s famous waterfalls have a storied past, as well. 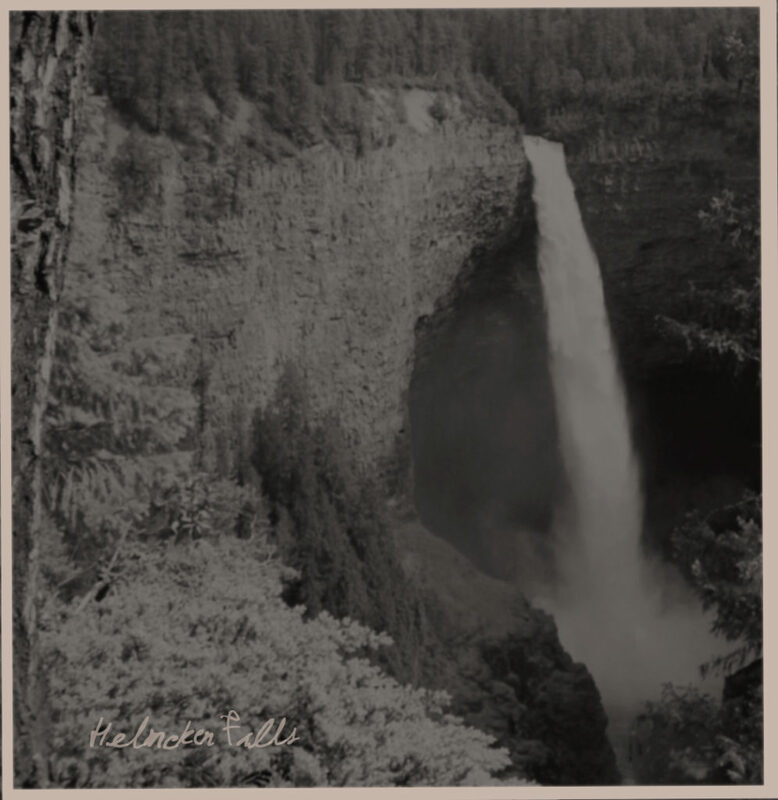 First documented in 1913, the park’s most stunning waterfall, Helmcken Falls is among Canada’s largest falls. It was named for a pioneering doctor who came to BC as part of the Hudson’s Bay Company. Despite the efforts of many varied groups over the subsequent 25 years, the falls (and the surrounding area) was not named as a protected area until 1939! That year, a new Minister of Lands who was sympathetic to the idea of land preservation ordered the designation of a new Provincial Park, which he named after himself, Arthur Wellsley “Wells” Gray. (To his credit, Gray established 3 more parks during his tenure that he named after other people!) For more than 100 years, there have been propositions to damn the Clearwater River and the falls in order to flood Wells Gray Park for hydroelectric power. These plans have been abandoned for reasons of impracticality, low priority, and, most effectively, through the vigorous efforts by environmental activists. We are proud that our beloved Alpine Meadows Resort is a part of this area’s continuing story. Come for a visit and make your memories a part of our shared history. Contact us to start planning!